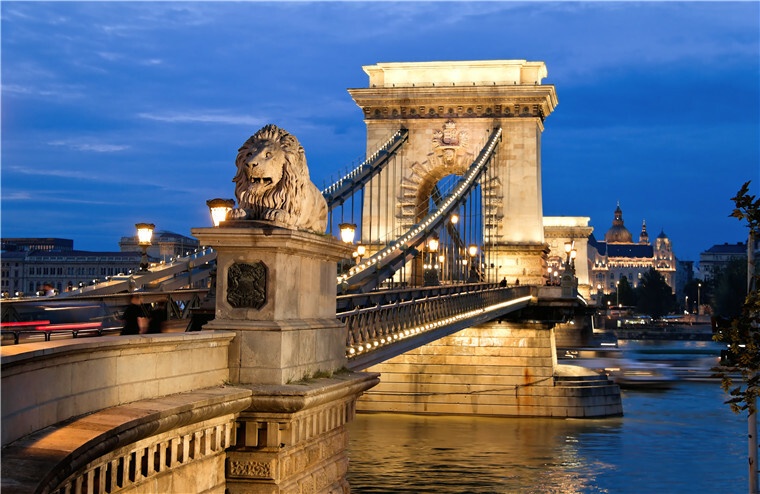 Nexus Holidays - Dreaming Danube River Cruise 12 Days 2019NEW! Arrive in Vienna, the “City of Music”, the place that inspired the creative genius of Mozart, Beethoven and Strauss. Vienna, once the center of the mighty Habsburg Empire, is a showcase of gilded architecture which amply lives up to its reputation as Austria’s magical capital on the Danube. You will be met and transferred to your ship for embarkation. This evening, enjoy the dinner and music on board. Not only is Vienna one of the most beautiful cities in Central Europe, famous for its architecture, but also it was home to many historical figures such as Sisi, Straus, Mozart and Gustav Klimt. This city bursts with history, featuring famous monuments, renowned museums and palaces, scenic parks, charming cafes and amazing pastry shops! We will begin our tour today by bus and head to the famous Viennese Ring, which features such major attractions as the Urania, the State Opera House, Parliament, Hofburg Palace (seat of the Habsburgs), City Hall, the Burg Theater and Vienna University. We will then explore the city on foot, starting at the famous Albertina Museum, proceeding to the “Graben” (the former city moat), the Hofburg Palace, and St. Stephen’s church. Along the way you’ll discover Vienna’s rich culture and stunning architecture. After the walking tour, you are free to explore and enjoy the city on your own. Statue of Jan Husek, and the Old Town's Astronomical Clock, the latter having been built in 1410 and once the envy of Europe. Browse the shops or hand-cut crystal or art books. Enjoy the rest of the day exploring this historic city. This morning you sail to Durnstein, in the heart of the Wachau wine region and best known for its magnificent baroque Stiftskirche with its renowned blue façade. Richard the Lionheart, King of England was imprisoned in 1192 in the castle whose ruins are located above the town. Join the guided tour to explore this picturesque little town and enjoy wine tasting. We’ll return back to the cruise vessel for lunch. In the afternoon we’ll arrive at the historic town of Melk. Enjoy a guided tour of the 11th century Benedictine Abbey, one of Europe’s largest monasteries, which dominates the town from its hill site. The abbey church houses stunning frescoed ceilings, marvellous statures, a large organ and an ornate library featuring a large collection of medieval manuscripts. Enjoy the breathtaking view of the Danube and the surrounding countryside from your vantage point on the terrace. Linz, Austria’s third-largest city and an important river port, is a place where culture plays a significant role in everyday life. Enjoy a walking tour of the third largest city in Austria, along the Danube River, and past the ultra-modern Ars Electronica Center. After lunch on the vessel, we’ll depart for Bratislava. On our way, you can enjoy the peaceful river views from the comfort of our ship’s Danube Deck. Bratislava, the capital of Slovakia, is the country’s main economic, political and cultural centre. The city incorporates both the past and the present. Historic buildings coexist with universities and the urban youth culture. On the Bratislava city excursion, you can visit historic and modern landmarks of the city, such as St. Martin’s Cathedral, the city walls, the Presidential palace, St. Michael’s gate, and the city’s main streets, which feature beautiful sculptures and fountains. Along the way, we’ll have a chocolate treat! 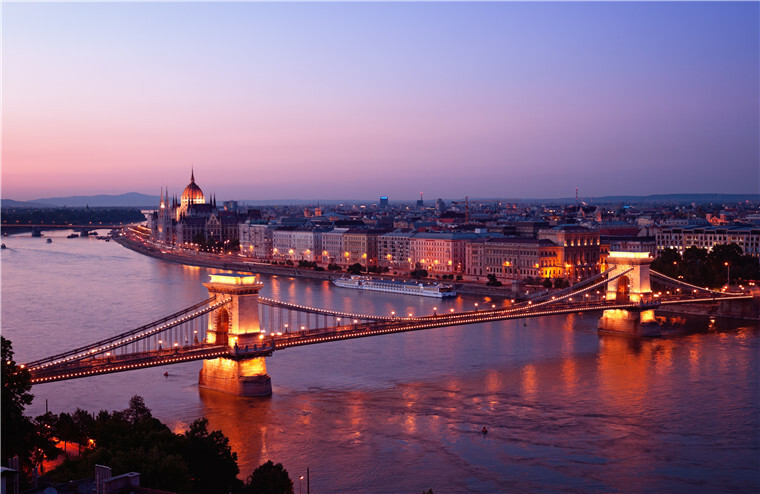 Budapest, the capital of Hungary, is often called the “Paris of the East”. Discover this magical city with a guided bus and walking tour. You will see how the division of the city by the Danube river into the one side known as “Buda” and the other side “Pest” has affected the city’s history and development.On our bus tour, we will visit the famous historic sites located on Andrássy Út street, such as the Opera, Hero’s Square, the under-cover market, St. Stephen’s church, the largest synagogue in Europe (in which Franz Liszt played) and Parliament. Interestingly enough, the Hungarian Parliament, which contains nearly 20 km of corridors), resembles the British Parliament buildings.Continuing our tour and proceeding via the famous chain bridge, we will visit historic Buda Castle, and the coronation church of St. Matthew, where the famous Sissi and her husband were crowned rulers of Hungary. Finally we will reach the fabulous Fisherman’s Bastion, from where you can have an unforgettable view of the city. This morning we sail to Esztergom, a small town which however played an important role 1000 years ago, in the establishment of the Hungarian state.Our guided tour today includes an interior visit of the town’s famous cathedral basilica, the largest Roman Catholic church in Hungary. Tonight, on board, enjoy the Captain’s dinner. Our vessel returns to Vienna, and your vacation ends with breakfast this morning. Your tour guide will greet you at the port and transfer you to Prague, capital of the Czech Republic. This fascinating city, with its domes, cupolas, spires and pinnacles, straddles the Vitava River. Prague, a city whose origins date back 1,200 years, is considered to be one of Europe’s most attractive. Its historic city centre is a UNESCO World Heritage site. Among the famous sites you will visit are the Rudolfinum, the National Museum, Wenceslas Square and the Hundertwasser Dancing House. 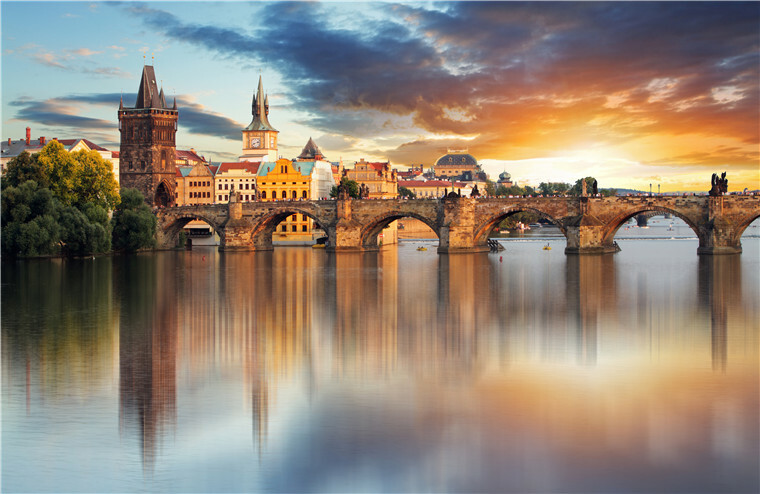 Your local guide will show you Prague’s best known historic sites, including the thousand-year old Prague Castle, the St. Vitus Cathedral (built in the Gothic style) and the Charles Bridge, the oldest bridge in Prague. Feel free to mix with the locals in Wenceslas Square. 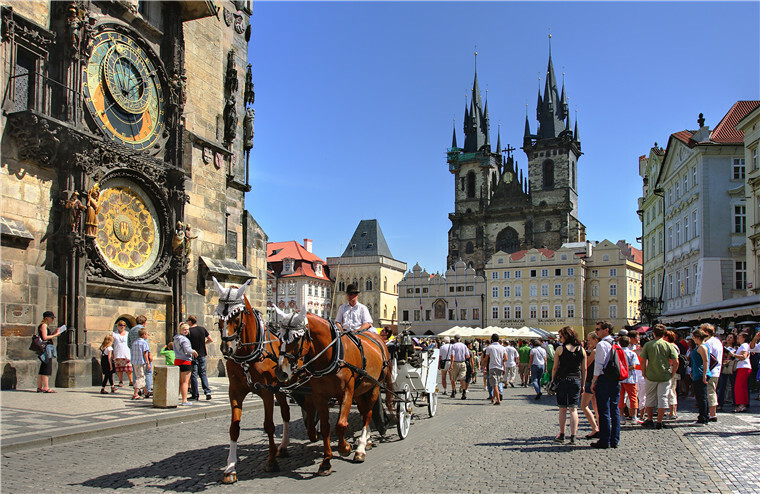 The square includes such famous historic sites as the Tyn Church, the statue of Jan Husek, and the Old Town’s Astronomical Clock, the latter having been built in 1410 and once the envy of Europe. Browse the shops for hand-cut crystal or art books. Enjoy the rest of the day exploring this historic city. Enjoy this free day to explore on your own or you may join the optional day trip to explore the UNESCO-listed town of Cesky Krumlov from Prague. Accompanied by an expert guide, tavel through the scenic Bohemian countryside to arrive in the medieval town. Once in town, make your way to the stunning Cesky Krumlov Castle. Surrounded by landsaped gardens, the mighty castle stands on a rock promontory sculpted by the Vltava River, overlooking the town below. Explore the opulent courtyards, halls and furnishings, learning about the structure's history from your guide as you go. You'll also have the chance to see the Church of St. Vitus, another significant landmark featured in the town's skyline. Enjoy some free time to wander the historic town centre, shopping for souvenirs or purchasing snacks. Your day trip will conclude with transportation back to central Prague. This morning, transfer to the airport and fly back to Canada. Ottawa, Montreal, Quebec city from $300. Wi-fi: Limited Wifi is available on-board, notably in the bar/lounge/reception area. Internet log-in passwords can be purchased at the reception, including instructions on how to connect. Welcome on board our 4*+ MS CRUCESTAR! Guest cabins are spread over four decks. All have a shower and wc, satellite television with a channel showing live camera footage from the front of the ship, a hairdryer, safe, intercom telephone. Standard cabins are compact and have a small window. During the day, one bed folds away and the other is converted into a sofa. Newly refurbished deluxe cabins are more spacious and have permanent hotel-style beds that can be configured as twins or doubles. They also have large picture windows that slide open. Wi-Fi on extra payment is available throughout the ship. Unlimited wine, beer, soft drinks and mineral water (still/sparkling) during lunch and dinner service only.